It is easy to settle for less. To stay with a good job but not a great one, to choose security rather than risk. Easy but not always satisfying. In 2003, when fax machines were an advanced form of communication, Helen left her last real job to give space to something new. She had no idea what that would be. Life stepped in, the phone started ringing and Frameworks took off. She has been happily trying to keep up ever since. 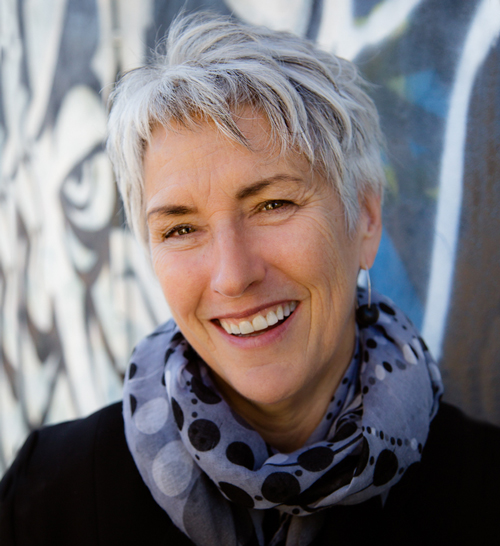 Described as having an encyclopedic knowledge of how to manage people to be at their best, Helen is a talented and vibrant consultant, coach, educator and entrepreneur. With a background in community services and organisational development, a passion for learning and a commitment to change, she established Frameworks for Change in 2003 and has been working intensively with managers and leaders ever since. Her primary focus is the development of leaders and the transformation of workplace culture. She is a Master Facilitator, a Neuro-Linguistic Programming Master Practitioner, a lover of neuroscience and an avid explorer of new ways of working. With a passion for learning, working with people and facilitating positive change, Claudia is a highly experienced, well respected and engaging consultant, facilitator and trainer. She is a ‘conflict alchemist’, finding the gold in conflict, the function in team dysfunction and the art of communication when people aren’t talking. She uses her creativity, quirkiness and ability to inspire to create high performing teams and develop great working relationships. Her programs are commended for being practical, ‘real world’, engaging and thought provoking. A certified practitioner of the Map of Meaning and an accredited SDI practitioner, with qualifications in conflict resolution, small business management and public sector management, as well as considerable experience in senior management positions, Claudia has an impressive track record in managing change, building high performing teams and achieving organisational goals. When not sailing the seas or travelling the world, Lisa is engaging, inspiring and motivating others. She has a passion for learning and development and a wealth of experience in designing and delivering engaging and fun training solutions to many organisations across Australia. Lisa draws from her background in management, project management and business operation to make her courses highly practical with immediate relevance to the workplace. Lisa is accredited to use the Myers-Briggs Indicator diagnostic tool and has incorporated the use of personality profiles into her everyday life and work. Her fascination with people, their differences, and how to communicate around these differences, shapes her approach to facilitation and training. Nicki is an experienced and respected consultant and facilitator with a professional HR background spanning nearly 20 years. She has consulted in the dairy and primary industries, successfully operated her own coaching and facilitation consultancy, and worked in HR management and recruitment across a range of industries from manufacturing to health. Nicki has recently relocated to Tasmania and joined the Frameworks team. She brings with her a wealth of knowledge and experience, a passion for working with clients to get real results, as well as a quirky sense of humour. An accredited and respected Executive coach, DiSC facilitator, SHL Psychometric Interpreter and NLP practitioner, with qualifications in Business & HR, and Health and Safety Management, Nicki is already doing some amazing work and in high demand. With over 25 years in the public sector, Trish has extensive experience across a broad variety of disciplines, from managing large government publishing projects to driving key information campaigns. She has successfully managed large and small HR teams, acted as business manager and advisor to senior executives and has managed many substantial change projects. Most recently, Trish has been in Melbourne managing a team of business improvement specialists, connecting staff with the means to empower themselves through creatively tackling business improvements and innovation. She has now returned to Tasmania, much to the delight of the Frameworks team. She brings with her an insight, humour and intelligence that lets her see and bring out the best in people (including her colleagues!). An accredited facilitator, mediator and coach, Trish has a proven track record in developing communications, business improvement and change management. Described as having a writing style that is critical, imaginative and elegant, Naomi is a highly experienced writer and researcher. She has taught and researched in law schools at a number of universities in Australia and overseas. She holds a Master of Laws from the University of British Columbia, Canada and a PhD in Law and English from Murdoch University, Western Australia. After fifteen years in the academic sector, she relocated to Tasmania to research and write tender proposals for some of the most disadvantaged people in our community. Most recently, she has turned her attention to applying these skills, as well as a newly discovered interest in design, to developing programs and resources for Frameworks for Change and their clients. With a Graduate Diploma in Organisational Development and a Bachelor of Arts (Psychology & Politics), Marg has dedicated many years to managing training and development and staff communications for a number of large government enterprises both in Australia and overseas. She combines this corporate background in organisational development and training with her passion for people and being organised to bring order, ease, efficiency and outstanding customer service to the Frameworks office. When not organising the Frameworks office, she can be found leading wildlife safaris in Africa. Lizards love the sun (life) and contemplation. They are quick, agile and alert. They can drop their tails and grow another one. They are a wonderful symbol for change and renewal. In indigenous cultures the lizard is represented as ‘lizard dreaming’ where their wisdom is that of a dreamer, bridging the present and the future through dreams. The lizard dreams the future as reality. We believe that people’s perception of ‘what is possible’ directs the actions they take. The vision we create becomes the future we live into. At Frameworks, our lizard represents the world of possibility made real through action. With 25 years experience in small business office management, finance, bookkeeping and marketing, Karen brings great financial management and order to the Frameworks office. She is highly experienced in Xero and MYOB accounting software options, including a range of add-on software options that integrate with these programs. She holds a B.A. (Hons), a Certificate IV in Finance (Bookkeeping), is a member of the Institute of Certified Bookkeepers, is registered with the Taxation Practitioners Board as a BAS agent and is a Xero Certified Partner and MYOB Partner. Saffron works remotely from Northern NSW as part of our creative team. She has over 10 years experience in the creative industry in various graphic design roles within Australia as well as New Zealand and Canada. She holds a BVA (Bachelor or Visual Arts) and her passion for creating beautiful and thought-provoking images extends to photography. Both of these creative skills were integral to building the new Frameworks brand.